A neutral coloured limestone with pretty shell and mineral detail. 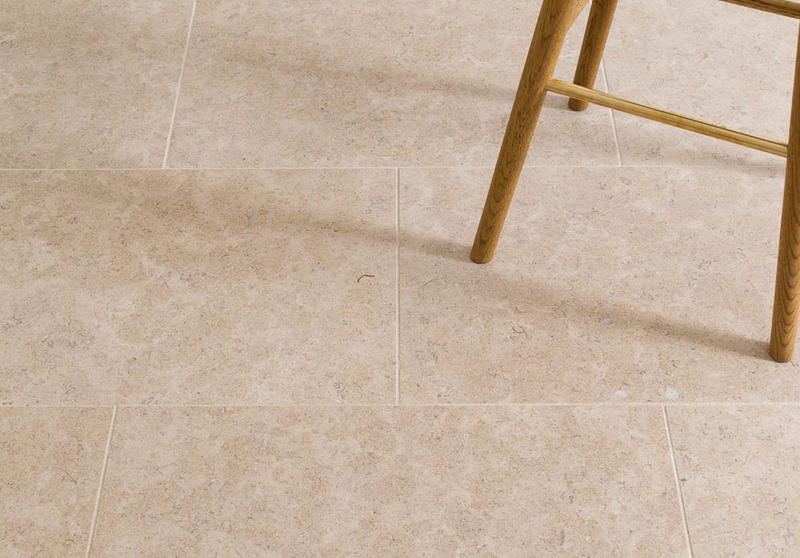 A hardwearing limestone with a smooth honed finish adding warmth to any room. Dijon Honed Limestone is an extremely popular, hard-wearing natural stone suitable for interior and exterior applications. Lots of beautiful mineral and fossil detail is evident in these tiles so there is no mistaking this for an imitation product. Dijon Limestone is a neutral coloured stone with beige and grey tones to match most interiors. This honed variety is a good choice for a more modern look with thin grout lines and is a very popular choice for kitchens, hallways, utilities and throughout whole ground floor areas. We also offer this tile in a brushed finish and a tumbled finish. Our selection of limestone tiles offer a large variety of colours, sizes and finishes. Customers often perceive limestone to be a pale, chalky colour but in reality there is something to suit most interiors. Our limestone range is available in a range of formats with large flagstones proving hugely popular for those seeking a traditional flagstone floor which looks centuries old, to large square tiles for those seeking an ultra-modern, contemporary look with minimal grout lines. Limestone is a sedimentary rock which has been formed over many years and it often contains beautifully preserved fossils, mottling and natural variation.